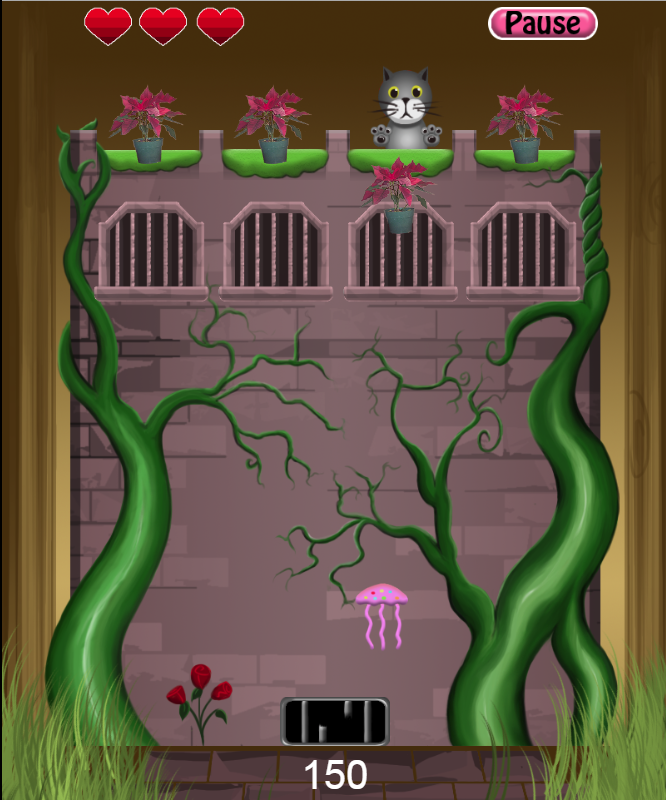 Help the cats survive and save their buildings from waves of insect terror. Kitty Pot Cracker is a twitch arcade game that is easy to pick up but challenging to master! Stop the insects by dropping pots or shooting lasers at them. Protect your building! Game Pad: D PAD Left/Right or L/R Shoulder buttons to move. A Button to drop pots and shoot lasers. Start to Pause Game. Key Board: Left and right to move. Space to drop pots/shoot lasers. P is to pause game. Mouse: Click on Windows to move, click again to drop pots and shoot lasers.